Wedding cakes start at $6/serving with a minimum of $500 when ordered more than 4 months in advance (which is recommended to ensure availability). 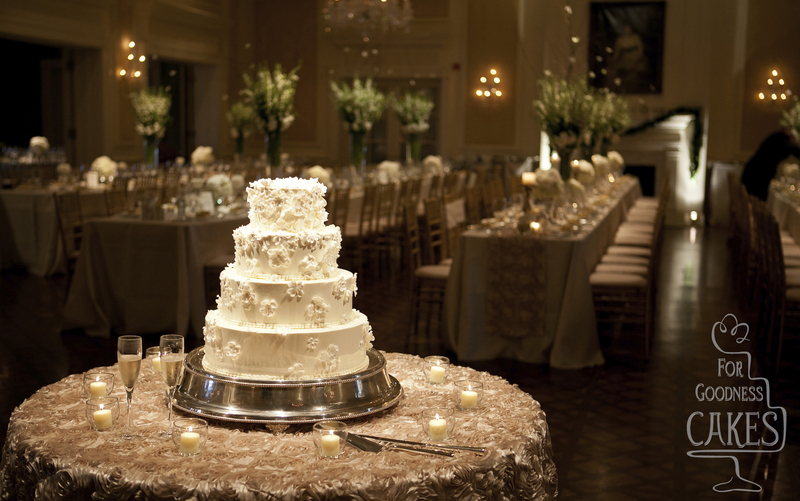 To receive more detailed pricing information and to inquire about wedding cakes, please email us with your wedding date in the subject line, and provide as many details as you can, including time, location and approximate size. Cake tastings/consultations are offered to anyone ordering a cake, although the $25 cake tasting fee can only go towards orders of $500 or more. Tastings are often the highlight of the planning process and a chance to enjoy a delicious variety of our most popular cake flavors, fillings and icings. We will do our best to accommodate your busy schedule and can be flexible throughout the week.